Free Shipping Included! 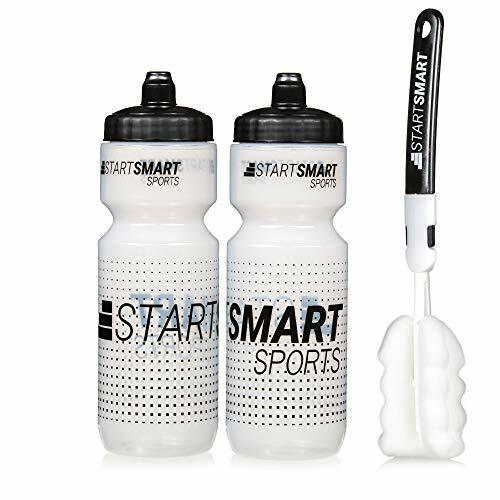 Start Smart Hydro Shot Bottles + Bottle Brush by Start Smart at Joes V Cycle. MPN: HSB-BB. Hurry! Limited time offer. Offer valid only while supplies last. Engineered and designed to pair perfectly with your Road Bike, Triathlon Bike, Cross/ Gravel Bike, and MTB. The One Way Hydro Shot Leak-free top cap is easy to grip, screw open, and screw closed. Wide liquid channel delivers 50% greater water flow than standard bottles and there is no need to open or close the bottle. Immediately get your fluids by squeezing or sucking. An 11'' long bottle brush is included and can easily reach the bottom and clean the entire inside area. The sponge end will wipe away any mold or germs left behind in the bottle. If you have any questions about this product by Start Smart, contact us by completing and submitting the form below. If you are looking for a specif part number, please include it with your message.